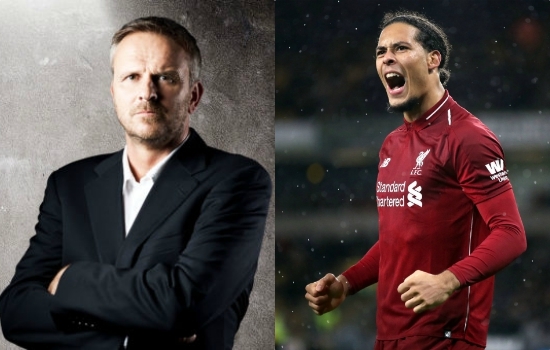 Former Liverpool midfielder Didi Hamann is in awe of Virgil van Dijk and has said that Jurgen Klopp is lucky to have him. Hamann mentioned that Virgil’s leadership qualities and comfort on the ball improves the players around him. Didi called him nothing short of a “manager’s dream” in his weekly column for the Racing Post. “Virgil van Dijk looks all over the PFA Player of the Year even though it’s an award that defenders don’t have a history of doing well in. “We’re only a few weeks away from the nominees being announced and in my mind it has to be [van Dijk], with Raheem Sterling presumably nicking second spot. “It’s hard to put into words quite how good Van Dijk has been for Liverpool. To improve a side from the day after you arrive is an achievement in itself but to transform that side is incredible. “He’s squeezed in between two relative rookie full-backs yet Liverpool defensively are simply outstanding. And that’s down to the leadership and the skills of the Dutchman. I don’t always agree so heavily with Didi – a lot of the time it seems like he just says something for a reaction. However, this time, I think the former midfielder is spot on. In my latest opinion piece, I strongly hinted at my opinion of who should win the PFA Player of the Year award and it seems Didi is in agreement. Our number four isn’t good a world-class defender; he’s got the composure of a tiger emerging from the jungle and the guile of a dolphin travelling the ocean. Not to mention his ability in the air; he wins over 70% of his aerial battles and is a constant menace for the opposition from corners.